Guess what! I found out what my message was! It's a Blog Award from Angie at Cuppa Dangie! What an honor - I'm so happy! It really does make it feel like this blogging experience is worth it knowing someone is reading and appreciating. Thank you again, Angie! Angela makes me laugh with the pictures of her kids she posts! I like to see what she is up to and think her blog design is beautiful. I'm amazed she can juggle so many hats and even has time to blog! As part of my award, I must pass the award on to 8 more bloggers... Let's go! The Striped Rose. I would be remiss if I didn't include my very dear friend's blog. Of course, I get regular updates from Michele either on the phone or in person, but I also find out what's going on by peeking at her blog! Beautiful pictures of her girls, flowers, and cross-stitching abound, intertwined with writings of her beliefs and homeschool journey. She also inspired me to blog and I'm so happy she did! Living Water Christian Academy. Rhonda and her family have so many outings - I love to see where they'll wind up next. Pictures of nature walks and visits to the lake - Rhonda always makes me long for the great outdoors! Litten Lamm Academy. One of my first blogging friends! 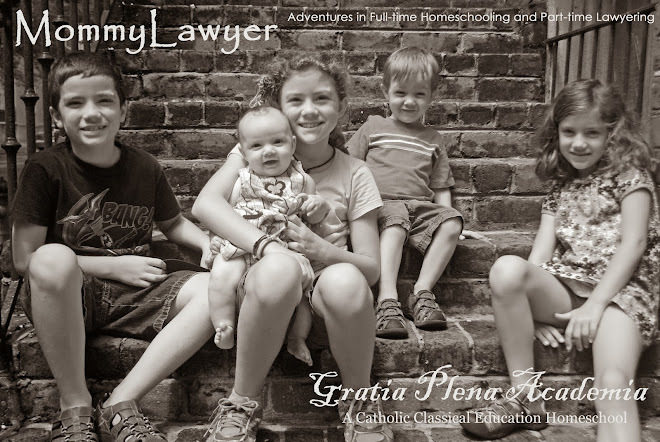 Monica's site is a wonderful expression of what homeschooling a young child with an even younger one running about can entail. She also injects quite a bit of humorous sarcasm - the very best kind - in her posts (see the post about the shoes and the lack of velcro - that's my life). Our Place. I stumbled upon Sherri's blog one day and noticed she had pictures from her local zoo. I think I might have frightened her a little when I told her my family and I had been to that zoo many times even though we don't live in that state. I believe we're okay now - and she knows I'm not stalking her! LOL. I enjoy dropping by Sherri's blog to see if I recognize other local attractions she frequents! Knowledge House Academy. I visit Nikowa's blog often. And I was excited to see a video introduction where she pronounces her name (I was pretty close)! She's the mother of two boys and is very active in their scouting, often posting pictures. (I can't wait until my son can join up!) Thanks, Nikowa, for entertaining me with your blog! By the way, you don't sound any more (or less) southern than I do! King Alfred Academy. Brittney's blog is so detailed with the things her children are studying - I only hope I can be thorough with my children as our homeschool adventure progresses. Simple and Sweet. I love, love, love Lindsey's blog. Lindsey is mom to three little girls and a baby boy. Just reading her blog, you can tell she cherishes her children and their education. Lindsey, I'm jealous of the postcard project. I HAVE to do that one - so tell me how! Our Nest of 3. Dawn always exhibits fantastic school work on her site. Her boys are SO creative - and Dawn is, too. Check out all of her beautiful handmade cards! 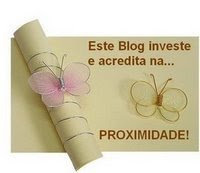 Alrighty... go and visit these blogs! And let all of these ladies know what a fabulous job they're doing! Yeah! I am honored that you thought of me! :0) Thanks so much! I very much enjoy checking out the things your family is doing as well. Some of your favorite bloggers are some of my fav bloggers, too. Thanks for stopping by my blog the other day. I appreciated all the comments. I love your blog-I have to pop over here every time you have a new post! Wow -- I have never heard of a blog award before, and I feel so astonished that you would give one to me. Thank you so much for your kindness! Angela, thank you so much! I've never had a blogger award, you brightened my day. Even though you already have one... I too have nominated you for a blog award! The details are on my blog... you're welcome to come check it out! Thank you! But, I'm not able to access your blog. Help! If you're on WTMForums, you can send me a private message there. I'm mommylawyer there, too.